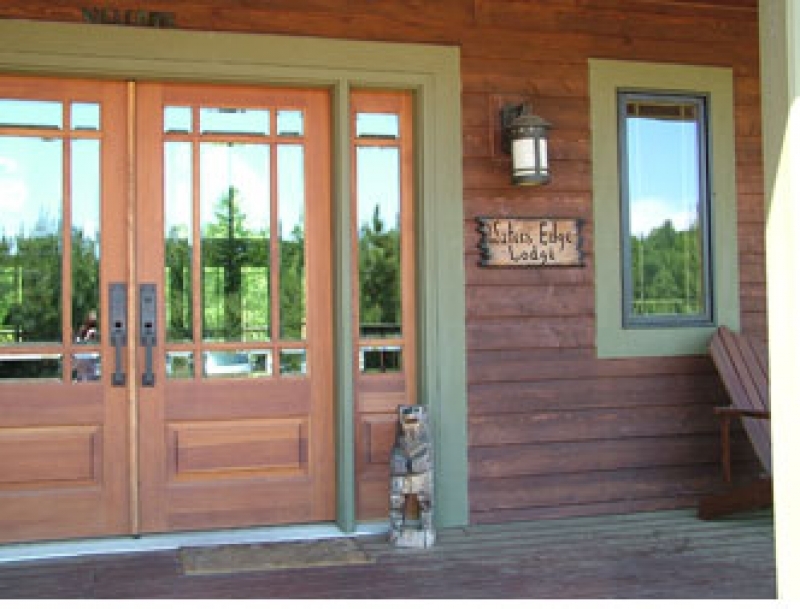 Loon Call Lodge, St. Germain– If you are from Wisconsin or in a surrounding state, you probably have heard of St. Germain as a great summer getaway but that isn’t the only season that boasts beautiful scenery. St. Germain is dotted with lakes and fall color and when snow blankets this area, there is a charm about this town that doesn’t go unnoticed. This cabin gives you a true “Up North” feel and sleeps up to 13 people and has a fireplace to warm us up in the chilly nights after a day of exploring the adventurous ATV and snowmobile trails right outside your back door. Log Gables Lakefront, Lake Delton- This cabin is hardly small as it is 3,000 square feet but cozy it is! Gather a large group of family and and friends and enjoy this 9 bedroom, 3 bath vacation rental complete with a Jacuzzi and ample room for everyone. 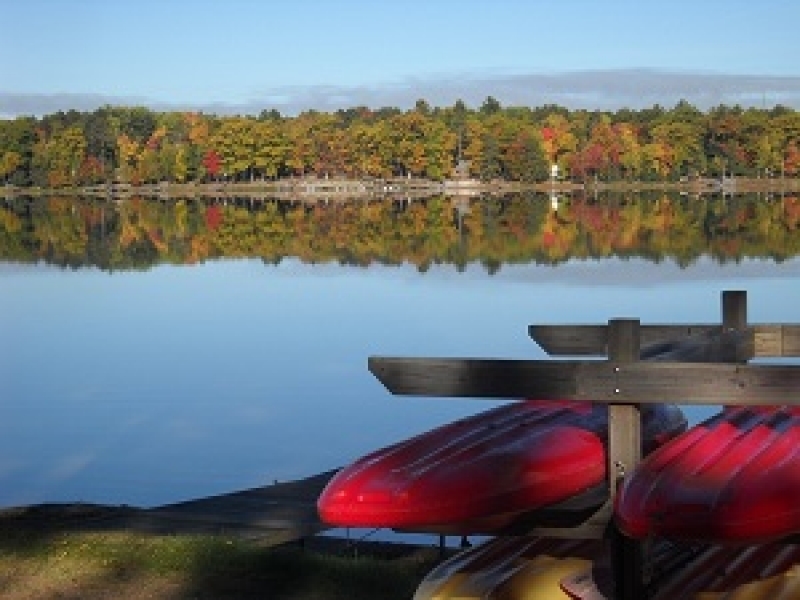 Take in the gorgeous landscape and lake! Just 3 miles away is Christmas mountain for some downhill skiing and ladies, there is Tanger Outlet Mall, a huge draw for families! Close to the Wisconsin Dells. 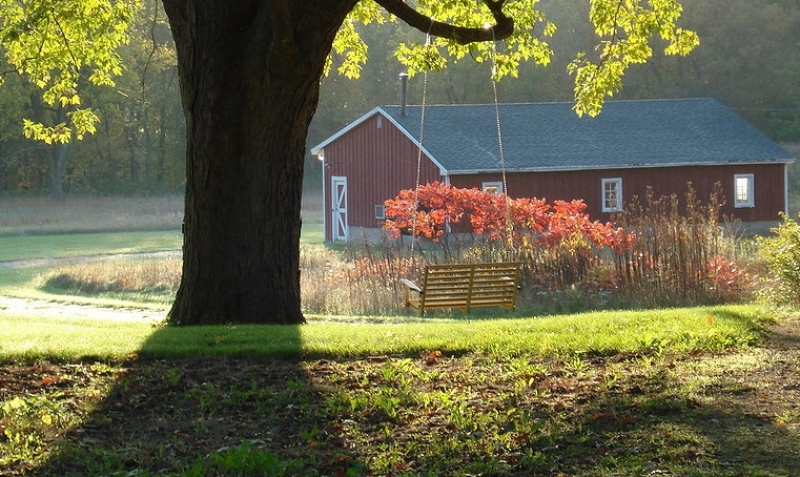 Kettle Moraine Farmhouse, Whitewater- This is truly for nature lovers as the landscape is in the heart of the Kettle Moraine Forest. This 3 bedroom vacation rental makes you feel right at home and offers a washer and dryer, furnished kitchen, fireplaces and even WiFi. Located right on an ATV/snowmobile trail, this farmhouse is 20 miles from LAKE GENEVA for unique shopping and rejuvenating spas. Water’s Edge, Friendship- This 3,600 lodge opens up to 3 bedroom suites with full baths, TV and separate exit on to the outside deck, making you feel separate from the others but together at the same time. This lodge has WIFI, and a fireplace with a fire pit outside and right on the ATV trails so load up the snowmobiles and trail blaze ahead. Choose to have a dinner together? Use the fully furnished kitchen to make our meals together and catch up on the day. Cedaroma Lodge, St. Germain- We realize St. Germain is on here twice but with the criteria we had, this lodge was more than well-qualified to be on our favorites list. 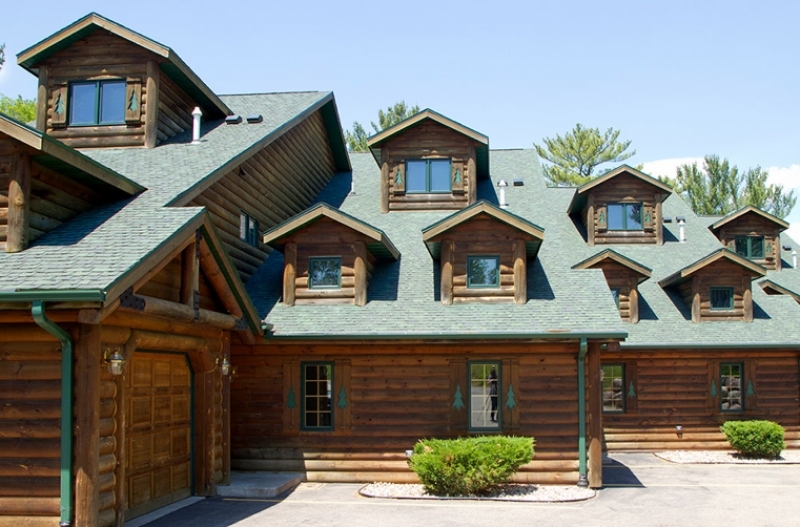 This Lodge has a playground, bikes, horseshoes, and a basketball hoop for the kiddos that keep them occupied while the adults catch up on quality time. It also has a fully furnished kitchen and sleeps 13, a perfect size for a holiday group. If there is snow on the ground have fun snowmobiling, snowshoeing, ice fishing, or cross-country skiing. Enjoy the WiFi and cable television at night or bundle up and get cozy by the outdoor fire pit. RentWisconsinCabins.com is a website dedicated to making your search for your ideal Wisconsin vacation rental simple. We start you off with nearly 700 irresistible properties. You quickly “Narrow your Search” using our one-of-a-kind search tool & interactive map. Here’s the best part: you book directly with the rental owners or property managers. Booking direct assures you get the best rental rate. Why pay more for the same rental found on third-party booking websites. 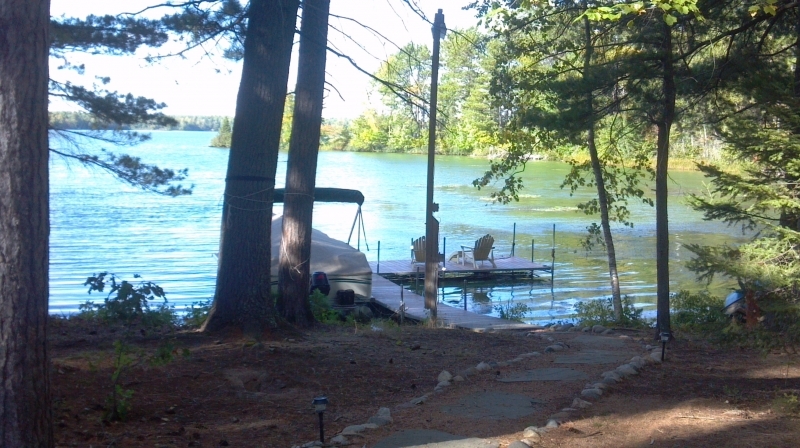 This entry was posted in Wisconsin Vacation Rentals and tagged Wisconsin Holiday getaway, Wisconsin Vacation Rental. Bookmark the permalink. 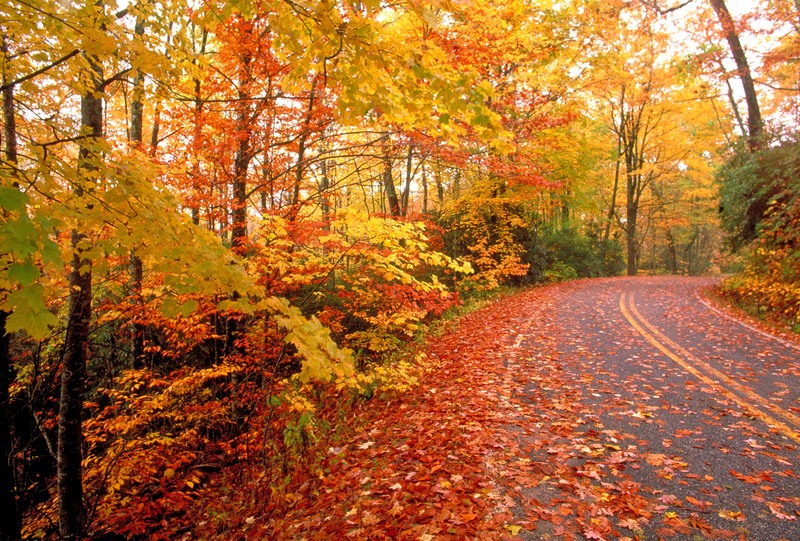 ← The Best 5 “Drives” for Wisconsin Fall Colors.